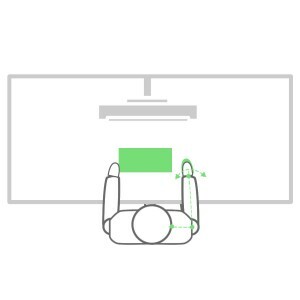 In part 1 of "How to set up a Healthier Workstation", we talked about how to set up your chair to sit more ergonomically. In this next segment, Back2 will discuss how set up your desk. People tend to underestimate the power of organising a desk can be on their health. The minor details like the position of the monitor or number pad on a keyboard. 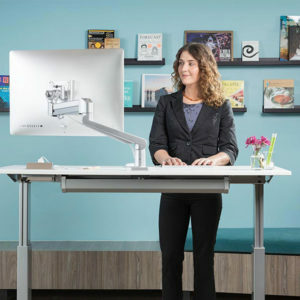 These can greatly affect the productivity of your work or your health. Most office desks are static and fixed at a height of 72-75cm. This may not be the correct height for some if the chair is set up correctly. 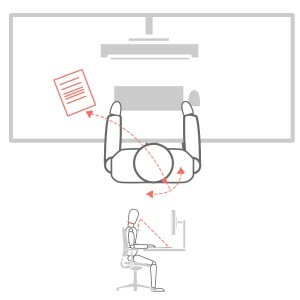 A low desk height can cause "Slouching" and musculoskeletal pain. Likewise, a desk that is too high can cause the shoulders to "shrug" and lead to tension on the neck. 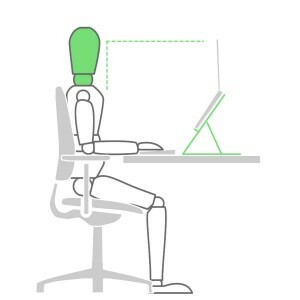 The ideal desk height should let you work with your arms and hands approximately parallel to the floor. A Sit-Stand Desk allows the user to adjust the work surface to the perfect height. 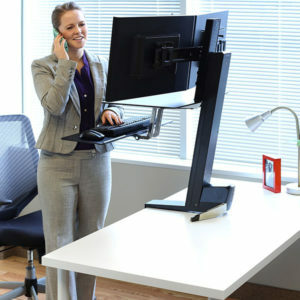 It also gives the opportunity to work sitting or standing. 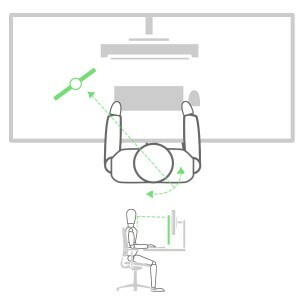 This provides a more active and variant work position. If replacing a desk is not an option, users can also consider adding a desk converter/desk adaptor. These provide a cost-effective solution to replacing the desk. 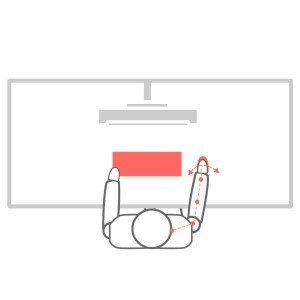 The display screen should be at arm's length. Too far and you might start to lean forward and lose back support. Too near and your eyes will need to work harder to focus. The top of the monitor screen should be at eye level. 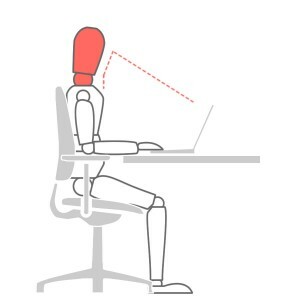 If the monitor is too high and you will strain the neck and, head and back. Back2 has a range of monitor arms that would help adjust the screen level to the perfect height and angle. The keyboard and mouse should be within an easy reach zone. A good indication of the keyboard placement is the B and H key should meet the middle of your body. Bringing the mouse closer to the body would be advantageous, as it would reduce wrist strain. If you are a laptop user, it is harder to get the right screen height and keyboard because of the fixed components. To fix this, consider using a laptop stand paired with an external keyboard and mouse for the best result. When referring to paperwork or documents, Use a copyholder or a document slope to position the work to prevent a prolonged period of neck flexion. Back2 stock a large range of reading slope to help raise the document position to the natural line of sight. Back2 have highly trained DSE assessors with extensive product knowledge to fully guide and assist you in adjusting your chair and making your workstation ergonomic. We stock a range of ergonomic accessories that are suitable for users of all shape and sizes that provide many benefits. Posted in on 7th February 2019 by Back2.